Ubuntu's founder Mark Shuttleworth has revealed that version 9.04 of the popular Linux open source operating system will be called Jaunty Jackalope. 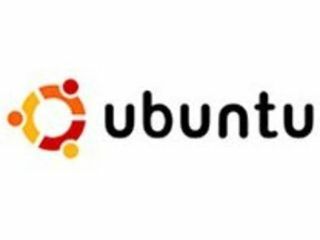 Ubuntu is updated every six months, and the latest version is expected to launch a newly invigorated fight against the likes of Microsoft's Windows and Apple's OSX. "The Warrior Rabbit is our talisman as we move into a year where we can reasonably expect Ubuntu to ship on several million devices, to consumers who can reasonably expect the software experience to be comparable to those of the traditional big OSV's – Microsoft and Apple," said Shuttleworth in a mailing post. "The bar is set very high, and we have been given the opportunity to leap over it. "It's a once-in-a-lifetime chance to shine, and we want to make sure that the very best thinking across the whole open source ecosystem is reflected in Ubuntu, because many people will judge free software as a whole by what we do." So what can people expect from what could be one of the most pivotal releases of Ubuntu? "The Jackalope is known for being so fast that it's extremely hard to catch, and breeds only when lightning flashes. Let's see if we can make booting or resuming Ubuntu blindingly quick," adds Shuttleworth. "Another goal is the blurring of web services and desktop applications. Is it a deer? Is it a bunny? Or is it a weblication – a desktop application that seamlessly integrates the web! This hare has legs – and horns – and we'll be exploring it in much more detail for Jaunty."